The World Today with Tariq Ali Podcast is out now! The World Today with Tariq Ali Podcast is now available on iTunes (Apple Podcasts), Google Play, YouTube and SoundCloud. Head to any of these platforms now, where there are five episodes to choose from, including: an interview with Hisyar Ozsoy of the leftist HDP party in Turkey on Erdogan and the attack on Afrin; and a reflective and sober conversation on the Korean Peninsula with Cambridge professor Heonik Kwon discussing the possibilities for unity between North and South. In the most recent episode, to coincide with the International Women's Strike on 8th March, Tariq sat down with Polish philosopher and feminist activist Ewa Majewska. The abortion rights movement in Poland has resulted in huge strikes and protests in cities across the country since 2016, and also sparked off solidarity demonstrations around the world. Ewa believes this, coupled with fresh #metoo consciousness, equates to a new and exciting form of internationalism. "I'm very happy to announce The World Today podcast. This is the forth year of The World Today on Telesur English, a programme largely devoted to politics and to providing an alternative approach. We stimulate the part of the body that most programmes tend to avoid - the brain. We speak to people not normally seen on television or anywhere else and we offer a view that is totally different to that of the mainstream media." 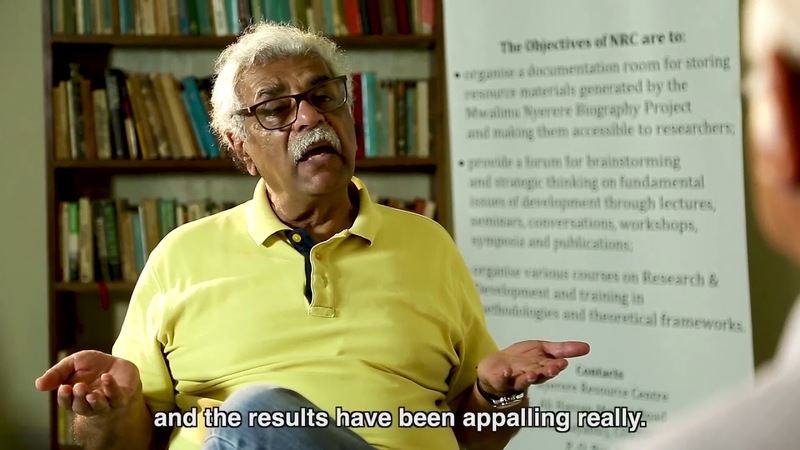 The World Today is Tariq Ali's weekly politics analysis show on Telesur English. Telesur is a pan-Latin American broadcaster initially set up by Hugo Chavez in Venezuela but now has its main office in Quito, Ecuador and is also supported, most notably, by Bolivia and Uruguay.